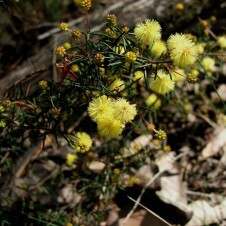 General Description: A prickly sprawling shrub to 60 cm tall with wiry branches spreading for 1 m or more, fine, dark green foliage and yellow, globular flower clusters, on short stalks. This plant is more sprawling when growing under trees and forms a compact small bush when growing in the open. 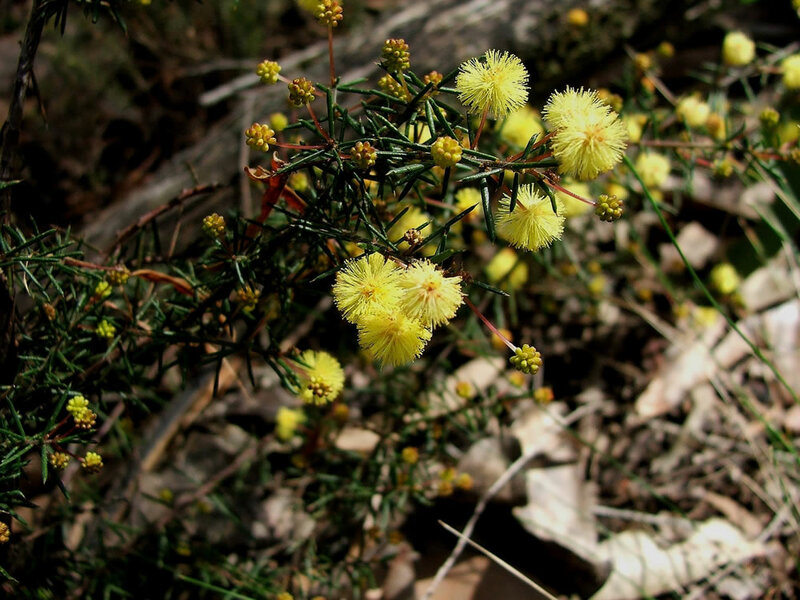 Flowers and Fruit: Typical round wattle flowers, deep golden-yellow in colour, usually in pairs. Flowers from Aug to Oct. The fruits are more or less straight, cylindrical pods. Site Preference and Tolerances: Tolerates a range of sites from exposed sites on poor soil to damper sites on better soil, prefers well drained clay soils. Withstands extended periods of dryness once established. Life Span: Fast growing with a medium life span (about 20 years). Wildlife Value: These small prickly bushes are a fantastic refuge for small wildlife particularly when they grow in more open areas and on better soil where they form a small compact bush. Because they grow at ground level they can be a lifesaver for reptiles and small marsupials and a safe food source for small ground feeding birds. Food plant for Common Imperial Blue butterflies. Other Values and Uses: Add nitrogen to the soil and form an attractive compact plant that makes a good groundcover and can be used to stabilise poor sites. Excellent for rockeries or banks and withstands light pruning. 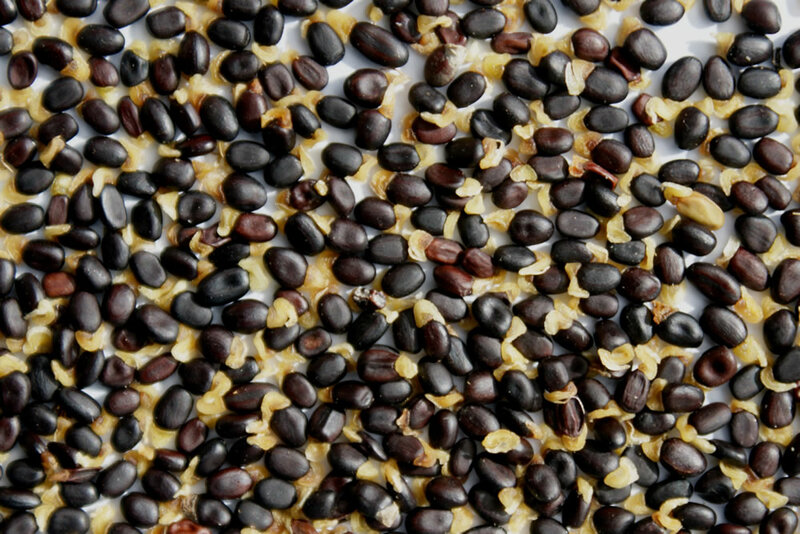 Germination Information: Need to break seed dormancy and heat treatment using boiling or just boiled water. 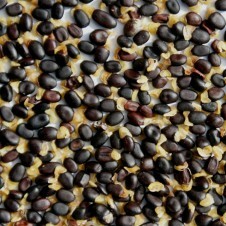 I prefer to pour just boiled water over the seed and leave it overnight and then plant the seeds the next morning.